Looking for trusted and reliable garden care and grounds maintenance specialists in Camden, London? 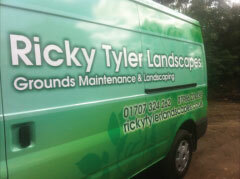 Choose Ricky Tyler Landscapes; your local specialists in landscaping and garden maintenance. 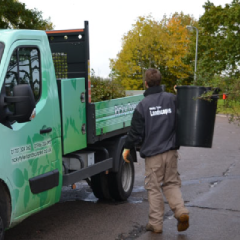 We support businesses and homeowners, with commercial landscaping contractors on hand when you need us and a tree care team to tackle emergencies. No task is too big or too small, and with insured and qualified experts on the task you can be sure that the job will be done right for you. You need a company that comes highly recommended; that's why you should choose Ricky Tyler Landscapes. References are available on request from our former clients, who range from local authorities and care providers to private individuals and local enterprises. Whether you need some paving stones replacing, a fence panel repairing or your whole garden redesigning, our experienced landscapers are just a phone call away. Not only do we produce fantastic results that exceed your expectations, but we keep our rates competitive and low too. Your commercial landscaping or garden maintenance task will cost much less than you might think when you choose our trusted service. You can get a free quote with no obligation when you call us today - we're available for work across Camden and surrounding areas of South and Central London. Get the garden of your dreams or transform your yard with a full makeover by our lawn care and turfing specialists, who can make a green and luscious paradise for you, your family and your friends. Entertain on your new patio or create a space where little ones can play; anything is possible with our garden design team on your side. Get in touch with Ricky Tyler Landscapes for commercial and residential grounds maintenance in Camden, London. Ricky Tyler Landscapes can provide gardening and grounds maintenance services including Camden Grounds Maintenance covering Camden, London .